There's not a lot we don't know about LG's upcoming G6 at this point, following weeks upon weeks of leaks, rumors, and (lately) official teasers that have unveiled its features one by one. We've also had quite a few images of the G6 pop up, whether those be renders or live shots. And today the leaked official-looking press renders you can see below come to complete the picture. As you can see, it's the black G6 that's portrayed here in all its shiny glory. Once again everything that's been leaked, rumored, and teased about its design so far is shown - check out the minimal screen bezels (with asymmetric top and bottom ones no less), the rounded display corners, the taller than usual form factor (thanks to the 18:9 aspect ratio of the screen), metal frame, and dual rear cameras with a fingerprint scanner underneath. 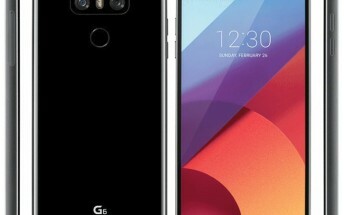 The G6 will finally be made official by LG at a special pre-Mobile World Congress event this Sunday, February 26, in Barcelona, Spain. It's expected to pack a 5.7-inch 2,880x1,440 touchscreen, Qualcomm's Snapdragon 821 chipset, 13 MP resolution for both rear cameras (one will be wide-angle with a 125-degree field of view), a wide-angle front-facing unit too (though in this case it's just a 100-degree field of view), and a battery capacity that's at least 3,200 mAh. The phone is water and dust resistant. It will run Android Nougat and should be out in March, at least in some markets. 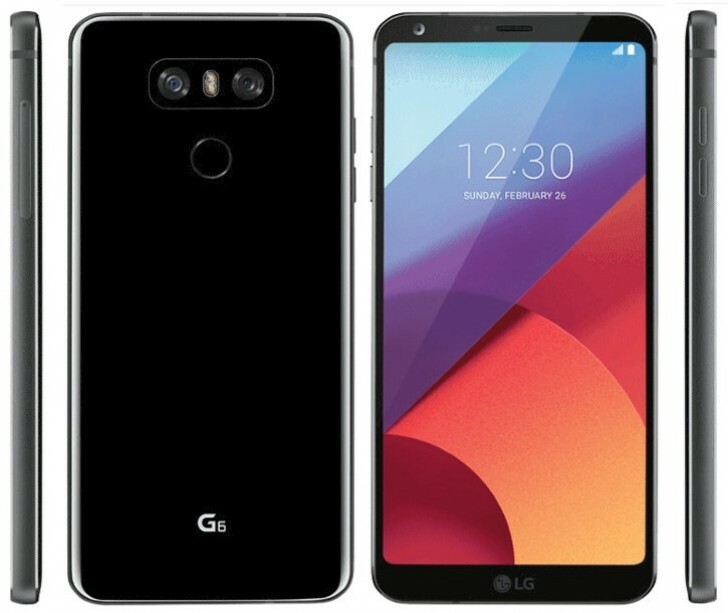 Earlier today we saw the G6 compared to its predecessor, the G5, in a photo, which should alleviate any concerns you might have had about it being much larger than the device it's replacing in LG's portfolio.